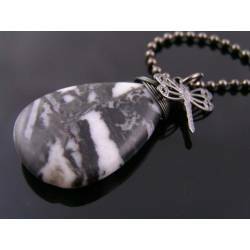 This white and black gemstone is called zebra jasper.I have used a smooth drop, measuring 3cm in length. 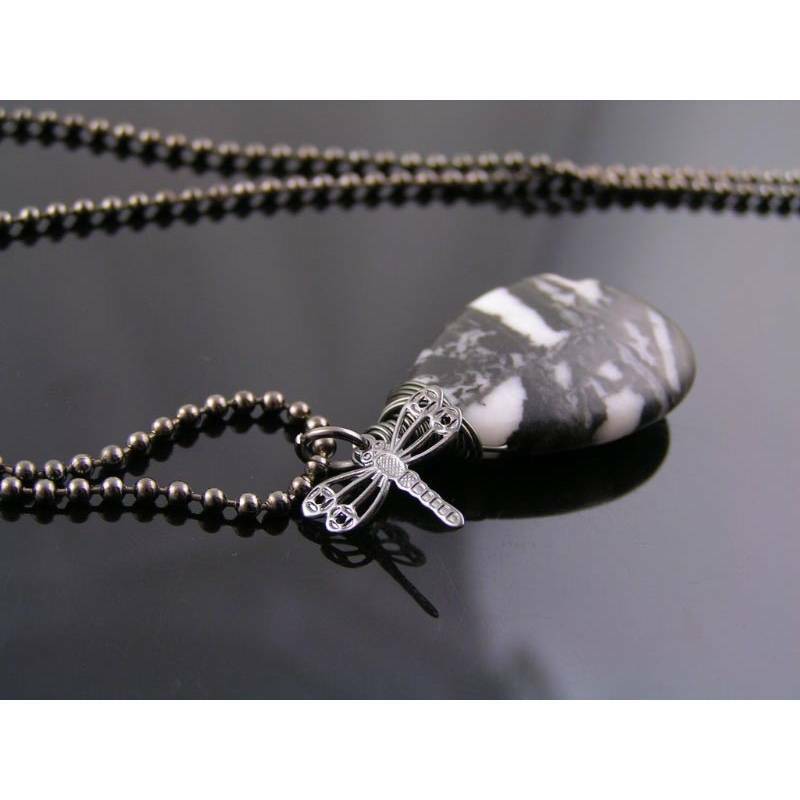 The drop is wire wrapped with gunmetal grey/black wire with a tiny, cute dragonfly charm attached. 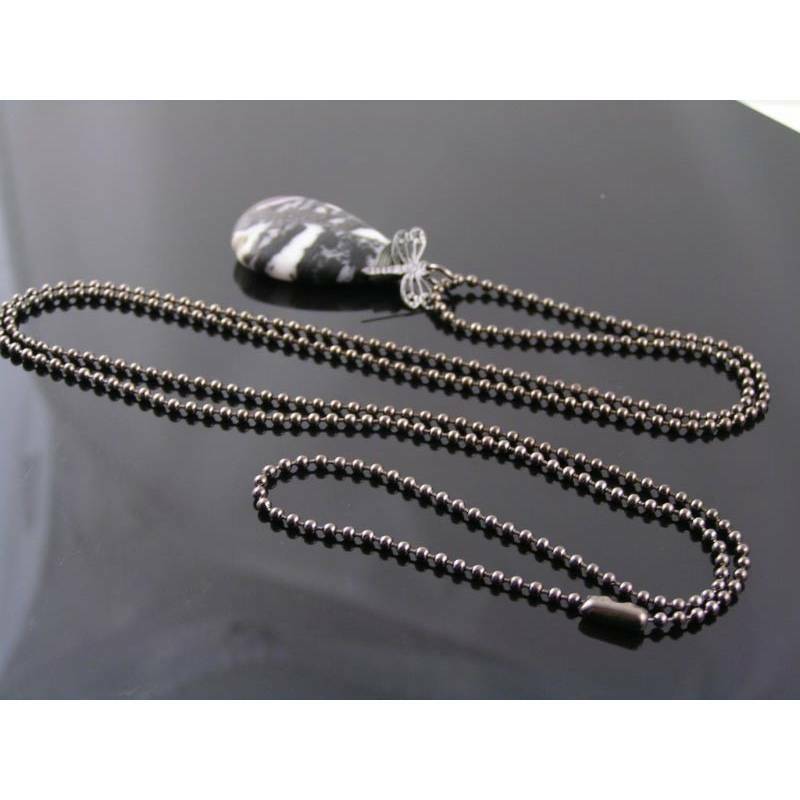 The pendant is added to an 80cm long gunmetal finished ball chain. Classic, monochrome, black and white. 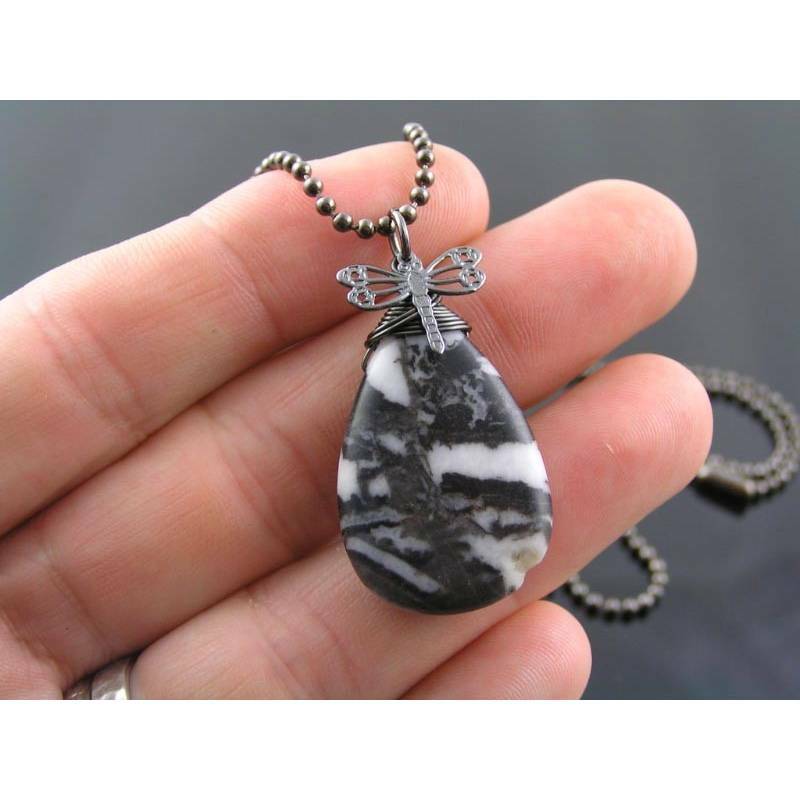 *I have lots of larger sized gemstone pendants, different chains and charms. 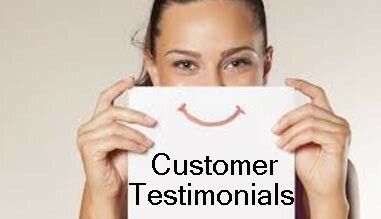 For other ideas, please contact me.